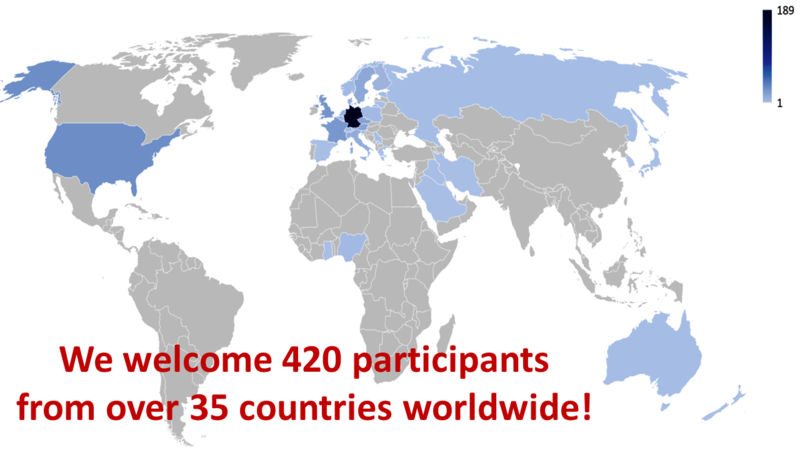 We welcomed 435 participants from 35 countries worldwide! "Liquid Biopsy & Next Generation Biomarkers" the first papers of our special GQ2019 Event Issue 2019 are out! Biomolecular Detection and Quantification (BDQ) is an open access, peer-reviewed international journal dedicated to championing excellence in molecular study design, measurement, data analysis and reporting. Its focus is on the application of qualitative and quantitative molecular methodologies to all areas of clinical and life sciences. The great international interest in the previous Gene Quantification Events from 2004 till 2017 with a constant audience of around 500 participants from all over the world motivates repeating the success next year. The 9th qPCR dPCR & NGS Event will take place from 18th to 22nd March 2019. 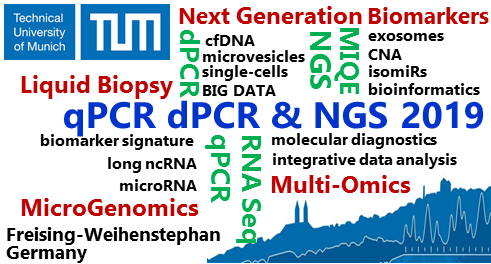 We broaden our focus in genomics applications from quantitative RT-PCR, to digital PCR and the latest Next-Generation Sequencing Technologies as well as the connected integrative Multi-Omics data analysis. As in previous years, we offer a three-day scientific symposium with around 70 talks in two lecture halls. Parallel to the scientific symposium, an Industrial Exhibition will take place and around 35-40 international companies will present their latest molecular diagnostics, PCR and NGS services, hardware, technologies, and software applications. The symposium will be followed by five 2-day PCR & NGS-related Workshops that take place March 21st and 22nd and are powered by academic and commercial leaders in the field. Event location is the central lecture hall complex and the foyer at TUM School of Life Sciences (Technical University of Munich) in Freising Weihenstephan, Germany. The TUM and the Biotech region around Munich are part of the largest Biotech cluster in Europe (BioM), representing more than 250 companies and academic institutions, located close to the Munich airport (MUC) directly in the heart of Bavaria. 2. Industrial Exhibition -- taking place March 18-20 -- exhibition is fully booked!